Hot Rolled Steel Angle will be added to your quote! HR Steel angles are stocked in 20-foot random lengths in several sizes, generally with equal legs. Other sizes, including angles with unequal legs, channels, and beams may be available on request. 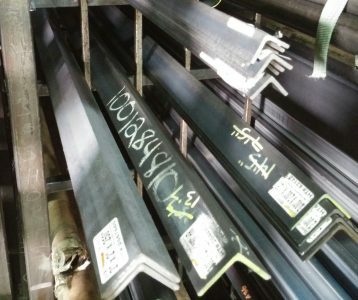 These products meet ASTM A36, which is a standard specification for structural steel. They are commonly used in all forms of construction and building, as well as general purpose usage. The best pricing is always when you order full lengths, which can be cut for economical shipping methods. AED also offers “cut-to-size” pieces. Hot Rolled Steel Angle will be added to Cart!